It’s that time of year again! Where everyone is looking forward to summer fast approaching, which means hitting the gym to get their beach bodies ready for the whole world to see. 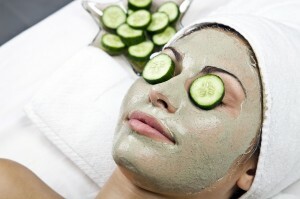 Spas are overflowing with people, to beautify their skin- to have that refreshing glow that we all long for! So what’s the secret to beautiful, healthy looking skin? It’s not just about how it looks on the outside, but what’s going on underneath it all-the part that we don’t see. Here’s the thing-just as we all know how important it is to eat healthy to get that body that we all strive for, it is just as important to watch what we put on our skin. So many people don’t realise the effects of chemicals found in mass-produced “skincare” products. Many of today’s skincare complaints – acne, eczema, sensitivity – can actually be caused, and certainly aggravated by the chemicals we apply to our skin every day. You may have noticed, when buying a moisturiser, or other products, that the ingredients list is so long, and full of unpronounceable names, and you know what? So many of these ingredients have nothing to do with your skin – they’re there to extend the life of the product, or to make it a pretty colour, or to make it smell nice – but these don’t benefit the skin in any way. 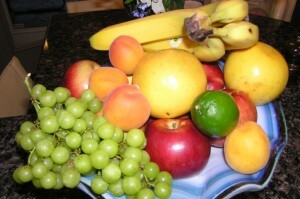 In reality, the simplest ingredients like fresh fruits will benefit you more inside and out. We all know that fresh fruits and vegetables are great for your health, and they are just as good for your skin’s health when you put it on! In so many ways, the saying “less is best” applies here more than you may have thought. Yogurt- Yogurt is a nutritious food that aids in digestion and provides minerals such as calcium and zinc for strong bones, teeth and the immune system. When topically applied to the skin, yogurt also has wide-ranging benefits. Skip costly commercial products full of chemicals and preservatives and use plain yogurt with live, active cultures to create a creamy, all-natural facial mask you can use several times a week for healthy, glowing skin. Yogurt contains lactic acid, an alpha hydroxy acid that helps to smooth rough, dry skin and prevent premature aging such as fine lines, wrinkles and age spots. Lactic acid helps to dissolve dead skin that accumulates in the pores, causing a dull and cakey appearance and aids in closing large pores, making skin look younger. Acne-prone skin may benefit from yogurt, with its anti-bacterial and anti-fungal properties. It is also rich in zinc, which is commonly known to aid in the healing of acne blemishes. 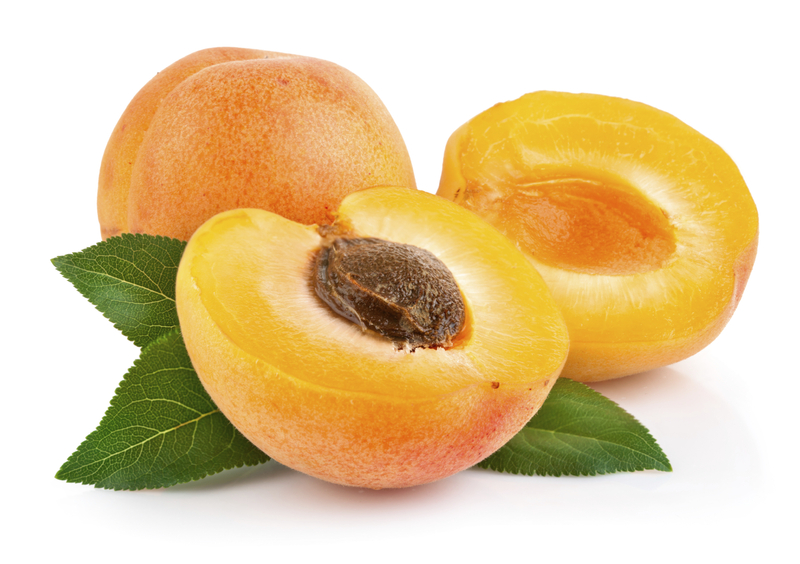 Apricots- Not only do Apricots have a great deal of health benefits when ingesting them, but applying them to your face provides a number of advantages for your skin as well. Apricots are excellent sources of B vitamins, vitamin A, vitamin C and lycopene and depending on how you prepare your facial, whether it’s a scrub or if you just use the kernel seed oil, will provide many skin benefits such as healing damaged skin, reducing wrinkles, maintaining skin’s elasticity, removing blemishes and improving skin tone, and it also presents itself as a great moisturizer. Avocado- Considered one of the healthiest foods on the planet, avocado is not only enjoyed for its wonderful taste but also for its healing properties when used as an ingredient in natural face masks. It deeply hydrates and nourishes the skin without causing irritation. Avocado helps maintain the integrity of the membranes that surround the skin cells, thus reducing the inflammation associated with skin conditions such as acne, eczema and psoriasis. Vitamin A contained in Avocado is essential for new cell division and helps to slow down the aging process by reducing wrinkles. Avocado is also a good source of Vitamin E and C, which acts as antioxidants by protecting the skin cells against free radical damage. 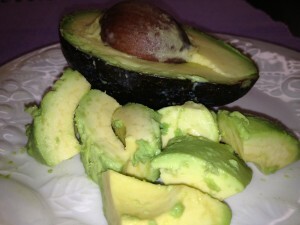 Vitamin C contained in avocado helps build collagen which keeps your skin strong and elastic. Lemons- Lemon juice is loaded with healthy vitamins so it is useful as both a food and as a home remedy for many disorders. 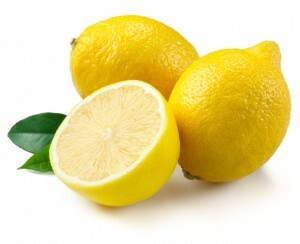 What is less well known is that lemon juice also has many benefits when applied directly to the skin. The discoloration caused by scars, certain skin disorders and age spots can be diminished by applying lemon juice to the discolored area. Lemon juice has natural antibacterial properties that make it a good choice to help cure acne and prevent further breakouts. Lemon juice is a natural exfoliant since the citric acid acts as a gentle “skin peel” that removes the top layer of dead skin cells. This will result in a smooth complexion when used regularly. Other benefits of using lemon juice on the skin may include brightening or lightening the skin, moisturizing and toning oily skin, and fighting wrinkles. You could pretty much find a benefit with any fruit when applied to your skin, but these are definitely on top of the list for using as your next facial remedy. 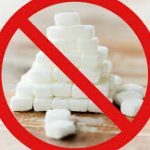 To give you the absolute best outcome, try to go for all organic products, because remember even all of our foods are now jam packed with chemicals as well. Let’s talk a little bit more about the chemicals that are being used in so many “skincare” products. These are products anywhere from soaps, to moisturizers, make-up and even the facials that you are getting at the spa! The most common one that people are learning to avoid are Parabens. They are a cheap preservative, used to hold a longer shelf life, and have been linked to breast cancer, hormonal imbalance, and early puberty in women, and sterility in males. Benzoyl Peroxide, used in acne products, is another possible tumor promoter and produces DNA damage to humans and is an eye, skin, and respiratory irritant. Triethanolamine (TEA)/ Diethanolamine (DEA) is a foam booster and is a skin/eye irritant and causes contact dermatitis. Sodium Laurel Sulfate is a his highly toxic synthetic substance (used for foaming abilities)and causes urinary tract, bladder and kidney infections, genital disorders, eye irritations, skin rashes, hair loss, scalp scurf similar to dandruff, and allergic reactions. Synthetic Colours are labeled as FD&C or D&C, followed by a color number such as FD&C Red 6. These highly toxic substances are usually coal-tar based and have been linked as cancer causing agents. Synthetic Fragrances are labelled as “Fragrance” by most products, which means any combination of the cheapest 200 synthetic, toxic ingredients the company can find. This can cause headaches, dizziness, rashes, violent coughing, vomiting, skin irritations, so on and so forth. Have you heard enough? There are so many more chemicals that’s haven’t even been mentioned and it’s hard to imagine why on earth we would ever put this stuff on our skin to begin with! 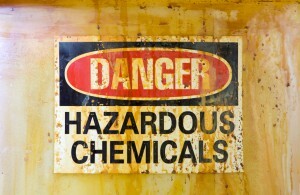 Remember, these are all toxic chemicals that our body is absorbing and we absorb up to 60% of what we put on our skin. At K-W Homeopathic Medicine and Wellness Clinic, we are dedicated to providing your skin with only the most pure and natural ingredients. Our facials are 100% non-toxic, making them a perfect option for people with allergies, chemical sensitivities and those wishing to avoid harsh chemicals found in many beauty products. We take pride in using the finest ingredients. Knowing that what we eat is just as important as what we put on our skin, we make all of our masks with real fruits, vegetables, and aromatic health giving oils. They smell so good; you might be tempted to eat them too! Call K-W Homeopathic Medicine and Wellness Clinic today at (519) 603-0505 to make an appointment and experience the benefits of our relaxing all natural, non-toxic facials for yourself. Go Natural and Glow!